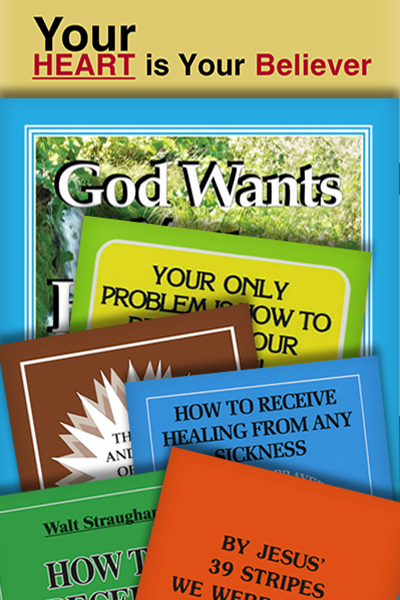 Take advantage of this special offer and get all seven of these powerful books by Walt Straughan at a special price. Not only do you save on the cost of the books, but shipping and handling is free. Learn and apply these important scriptural practices to obtain and maintain your health and the health of others. That God greatly desires for you to understand what can separate you from health. How to use faith, prayer, and confession together. How to exercise the methods Jesus used to get results. What God’s Word has to say about healing. How to live in health and not die prematurely.